Dream Baby was written by Cindy Walker - American songwriter, country music singer and dancer. Covers by other artists: Glen Campbell, Jerry Lee Lewis, Waylon Jennings, Lacy J. Dalton. 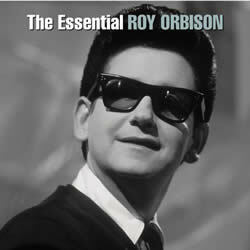 Born: Roy Kelton Orbison on April 23, 1936 in Vernon, Texas, U.S.
Died: December 6, 1988 (aged 52) in Hendersonville, Tennessee, U.S.
ROY ORBISON chords and lyrics are property and copyright of their owners. "Dream Baby" chords and lyrics are provided for educational purposes and personal use only.